A few weeks ago the Ontario government mandated a 10% tuition roll-back for domestic (i.e. Canadian and Permanent Resident) students. I wrote a brief blog post about first impressions. Although the government is on a deficit reduction path, this move was kind of strange since it doesn’t seem to directly save the government much, if any, money. I guess the intention is to save the student and families some money, which is nice, but it comes at a cost. That cost is now becoming clearer, according to internal news at Waterloo. Basically, to deal with the cut in the 2019/2020 budget year (just about to start), there needs to be about a 3% cut in expenditures. This is just the start for this year, as there is still an ongoing deficit in the following years to be dealt with. Discretionary Spending: this would be stuff like photocopying (already largely gone), refreshments at seminars and events for students, support for student travel to conferences and competitions, telephones for graduate student offices (already gone in my department), travel costs to bring in seminar speakers from other universities and countries, various other little things like these. There is actually not a lot of money spent in these areas, as far as I am aware, so not a lot of savings are to be had. Faculty and Staff Positions: The vast majority of spending in an academic department is on salaries, something like 80%+ if I recall. Therefore to hit a 3% cost savings likely requires something close to a 3% reduction in personnel. The news article refers to this as a “return of open positions”, which essentially means permanently shrinking the personnel levels by not replacing people who leave or retire (unless new funding becomes available at some future point). For the Faculty of Engineering, with 318 faculty members, this would mean dropping about 10 positions through attrition. Roughly speaking, that is equivalent to 26 courses that can’t be mounted, as well as fewer available supervisors for student projects and graduate student research. For an engineering program, you can’t stop teaching the core undergraduate courses, so the loss of courses would be primarily in electives and graduate courses. The overall effect will probably not be immediately noticeable to most students, but eventually there may be fewer elective courses to pick from in upper years. There are some mechanisms to try to reduce the impact on course availability, but we’ll see what happens next I guess. 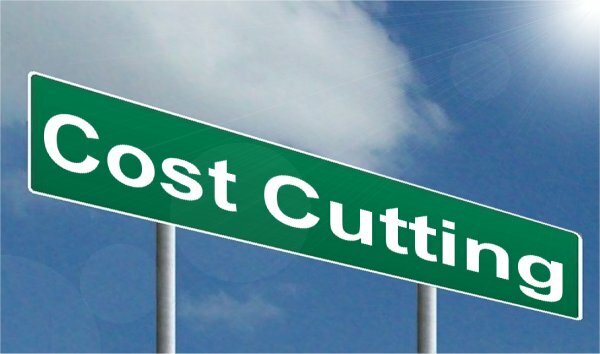 According to the news item, the 2020/2021 budget year may require further cuts because of an ongoing structural deficit. The one thing I haven’t mentioned above is research. That’s because research isn’t directly funded from tuition, it comes from government and industry grants and contracts for specific projects. So I wouldn’t expect any immediate effects on research activities and conference participation by graduate students and faculty. The lessons listed in this blog link are good for students, and anyone for that matter. Plus it features a greyhound, one of my two favourite dogs.